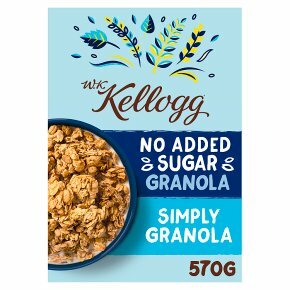 No Added Sugar Mixed Cereal Clusters. High in fibre. Palm oil free. Nutritious & uplifting plant-based foods. Don't be shy pick me up! No added sugar - contains naturally occurring sugars. No artificial sweeteners, colours or flavours. Suitable for vegetarians. Vegan. Halal - HFA approved. Kosher. Let's come together for food to champion healthy lifestyles through nutritious uplifting plant-based foods Contains ?15% RI magnesium. Magnesium contributes to a reduction of tiredness and fatigue. Our Promise To You We pride ourselves on bringing you our very best in every bowl, that's why we don't make cereal for anyone else.